The ransomware attack of May 2017 exposed the vulnerability of hospitals to cyber threats. You not only need a healthcare learning management system that’s secure but also one that can be continually updated to train your healthcare staff. Hospitals and the medical industry have to be continuously on the vigil, updating their systems and other healthcare equipment to deter cyber-attacks. This also necessitates training of the healthcare staff to be able to use it. This is where the ProProfs Learning Management System comes in. Keep your data safe with cloud-based highly secure storage infrastructure designed for critical and primary data storage along with daily database backups. Using healthcare LMS, you can also control which courses and modules your learners have access to: a select few, many or all. 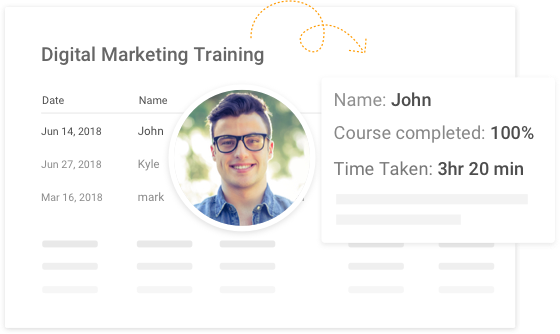 ProProfs LMS can be used by healthcare companies to assign courses to new joiners, or allow them to self-enroll and start their compliance training while you track their status. The LMS system for healthcare calculates the due dates automatically, sends reminders and notifications if needed, and training status is updated accordingly. You can run insightful reports to determine whether the training has been completed on time and if any modules are due/overdue. Train your employees on important compliances like HIPAA. Most elearning systems for healthcare are able to generate a variety of reports on your online learning programs. But all the fancy information in your reports don’t mean anything if you are unable to act on it. ProProfs LMS for healthcare industries allows you to make sense of the data in these reports and take appropriate action. The actionable insights from data allow you, for example, to determine who is yet to take a course and enroll them. ProProfs LMS software further gives you the ability to view, download and export data in multiple formats like PDF, HTML, and Excel for closer analysis. You can create any number of configurable reports and choose which users in your organization can generate and receive reports. 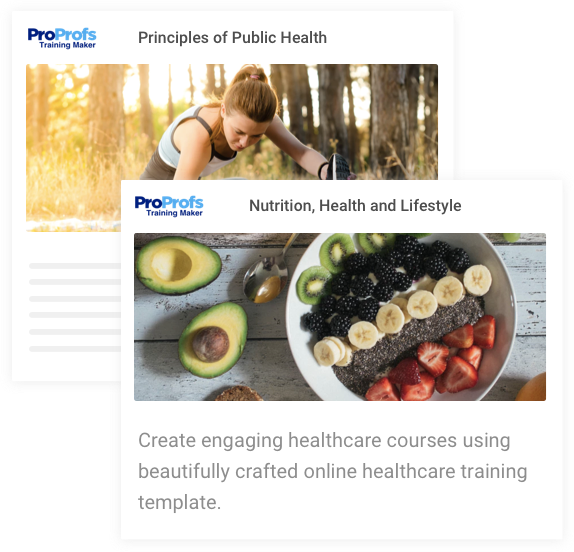 Choose from over 100 premium course templates to create highly engaging healthcare courses. These templates are designed keeping in mind the modern design trends and functionality. 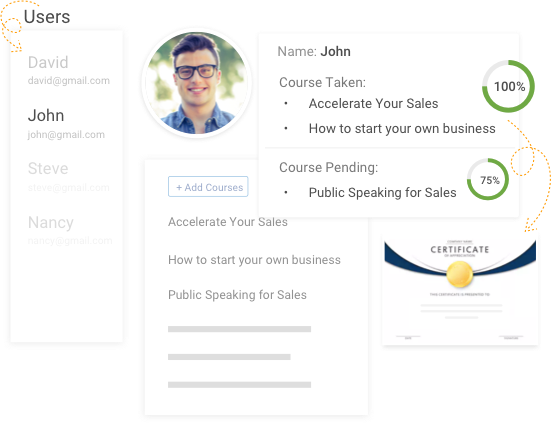 Give your training courses a personalized touch by adding customizations like company logos and images. ProProfs LMS comes with intuitive and user-friendly course authoring tools that allow you to design your e-learning modules for healthcare training to perfection. You can start with an appropriate template or even use existing courses on healthcare as a starting point to design your courses.